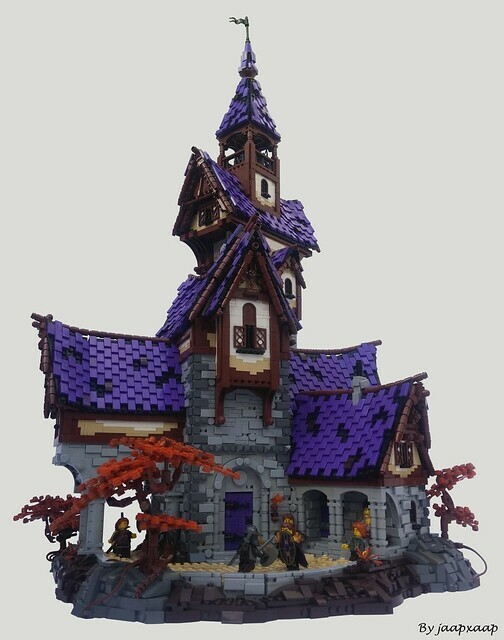 JAAPXAPP has finished his first largish scale Castle MOC and I love it! The roof work is a particular highlight. For me The walls hit exactly the right balance between detail and not being too busy! I really like the area around the door frame, and those the arches are perfect. The gentle curves on the roof give it that authentic fairy tale feel. It might be a bit controversial but I am not the biggest fan of the ultra piece intensive, higgledy-piggedly castles which seem to be in vogue right now, I do appreciate the aesthetics on those but this looks like a proper castle that has been built to last! The colours and textures of this build are an instant winner for me and as always with my favourite builds there are a nice selection of minifigs with excellent posing adding a nice touch of flavour.